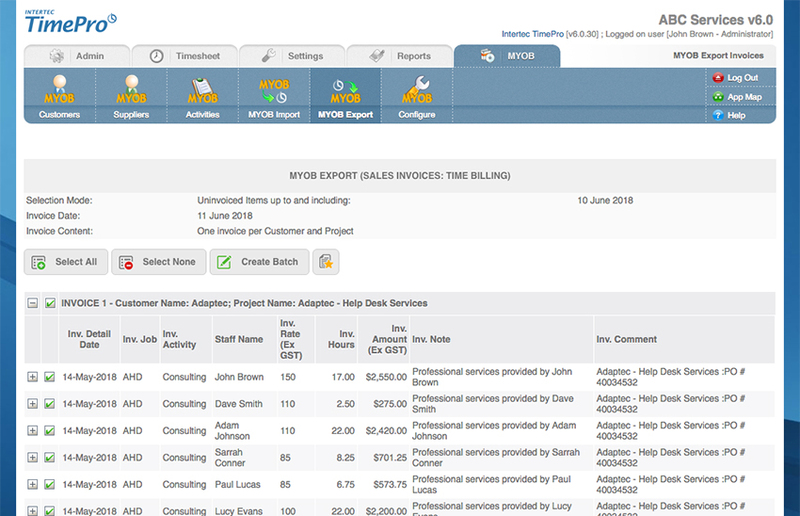 With Intertec TimePro’s MYOB Integration Module, you can automate the process of creating Sales Invoices, Purchases Invoices, Activity Slips and Timesheets in MYOB using time records captured in Intertec TimePro web timesheets. When you purchase Intertec TimePro Hosted or In-House, you can choose to include the MYOB Integration Module for a small additional charge. * This product has not been endorsed and is not supported by MYOB Australia. 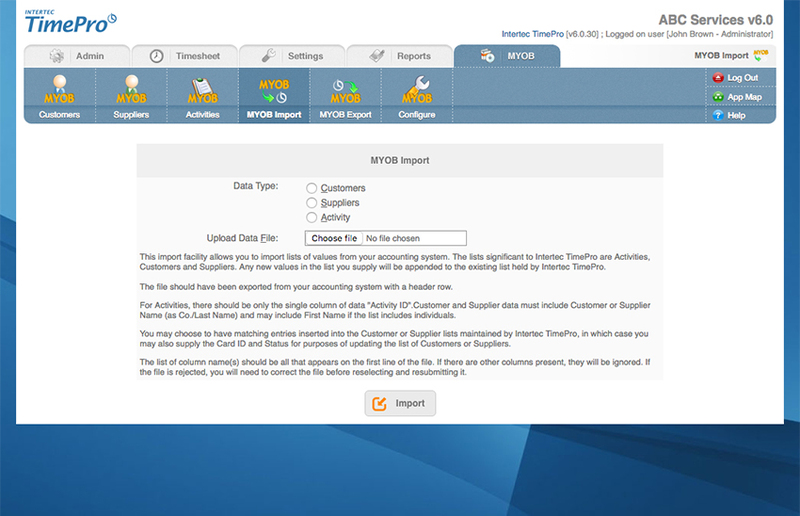 Import MYOB data into Intertec TimePro, including MYOB Activities, MYOB Customers and MYOB Suppliers. 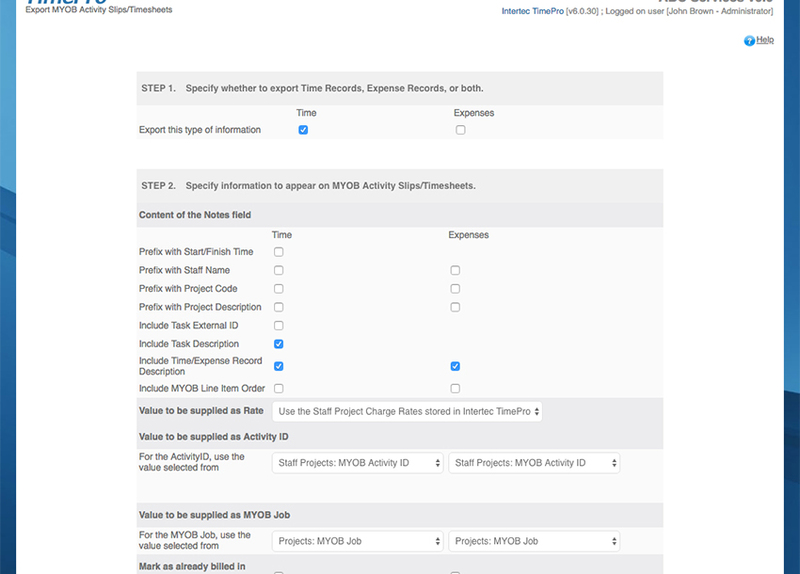 This is useful in initially setting up and configuring Intertec TimePro to match your MYOB records. 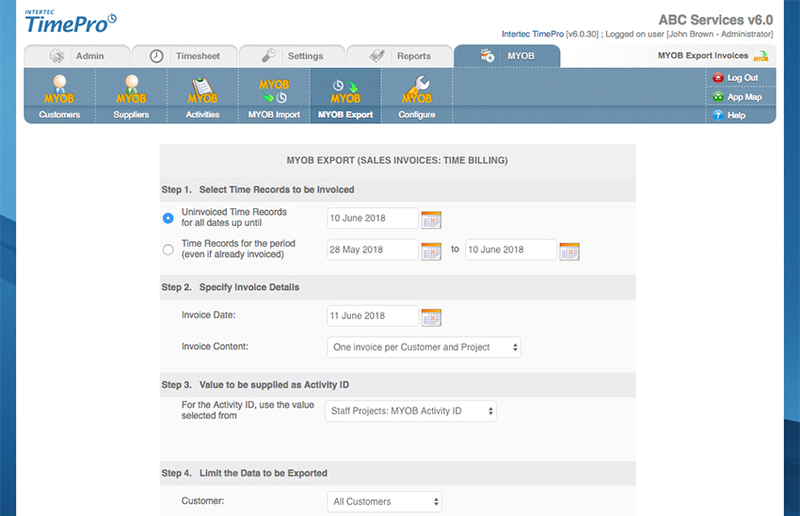 Export time records from Intertec TimePro into MYOB to generate MYOB Sales Invoices, Purchases Invoices, Activity Slips and Timesheets. Eliminate the need to re-enter time records into MYOB. Who should use the MYOB Integration Module? Business that use MYOB and are looking to streamline time recording with time billing and invoicing. Businesses wanting to integrate a web-based timesheet solution with MYOB’s payroll module. How does the MYOB Integration Module work? Take the tour and find out.